Free refreshments: Massachusetts cheese and ice cream! Sheffield is home to five dairy farms—far more than most other towns in Massachusetts. Dairy farms manage most of the farmland in our region and supply more local food than any other type of farm, but all dairy farms are feeling squeezed by low milk prices and high costs. Massachusetts has been fortunate to have lost fewer farms than neighboring states during the recent years of record low milk prices and high rates of farm closures. Last year, New York lost 160 dairy farms, Vermont and New Hampshire each lost 10 farms. Of the 140 dairy farms in Massachusetts, Berkshire County has 19 dairy farms remaining. The future of our remaining Berkshire dairy farms is a critical concern because the Berkshire’s agricultural future, farmland, agricultural economy and regional food security rely on them. On Saturday, March 9, join local dairy farmers, policy experts, land conservationists and dairy cooperative representatives for a screening of the movie “Forgotten Farms,” followed by a discussion about the future of family dairy farms in our region. Dairy farmers tend 1.2 million acres of farmland and produce almost all of the milk consumed in New England. In its enthusiasm for new and young farmers, the new food movement often overlooks the farmers at the foundation of the region&#39;s agricultural economy. As we strive to revive local production, we have a great deal to learn from dairy farmers who have been managing most of the farmland and sustaining the farm economy for decades. Through conversations with farmers and policy experts, &quot;Forgotten Farms&quot; reconsiders the role of these vital but forgotten farmers. Co-sponsored by Berkshire Grown, Bushnell-Sage Library, Sheffield Agricultural Commission , and the Sheffield Land Trust, this event is event is free and open to the public. Additional supporters include Agri-Mark Cabot Dairy Cooperative, Berkshire County Farm Bureau, Berkshire Natural Resources Council, Schumacher Center for a New Economics, Williamstown Rural Lands Foundation. Extra Special Teas will be back with their delicious gluten free brownie bites and tasty teas. 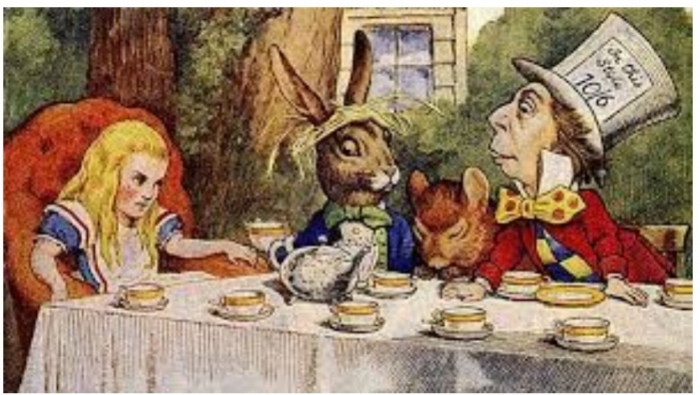 This year the pop-up abridged version of Alice in Wonderland will be read. All ages are welcome, wheel chair accessible. Sign-up welcomed for refreshment purposes. Teaching artist Jay Mankita brings his traveling maker space to us. Come be a part of this kinetic adventure! In this hands-on, STEM focused workshop, participants design, build, test, and play with Rube Goldberg "machines”, plus domino constructions, exploding popsicle-stick snakes, and other awesome engineering explorations. Free for all ages and abilities. Local cookbook author, Janet Elsbach will be on hand to cook up a warming winter treat with ginger, taken from her new cookbook Extra Helping: Recipes for Caring, Connecting & Building Community One Dish at a Time. Reservations required, as space is limited in our kitchen. Please sign-up in person or by calling the library at 413-229-7004. Gary Leveille is no stranger to the Southern Berkshires, he has over 35 years experience as a writer, editor, photographer, humorist, and local historian who resides with his family in Great Barrington. 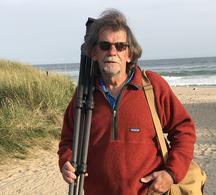 He is the author of seven books, including the best-selling photo history entitled Old Route 7 – Along the Berkshire Highway. Also, Eye of Shawenon – A Berkshire History of North Egremont, Prospect Lake and the Green River Valley, Legendary Locals of the Southern Berkshires, and his newest book Southern Berkshires Through Time. Gary will give us a visual tour of Sheffield landmarks then and now. He will also have his latest book available for purchase. Ring in the new year with the family! A kid-friendly celebration at the library with hat making, dancing, bubbles and more. We'll count-down to noon with refreshments and fun. Sunday, December 9th at 3:00 pm. 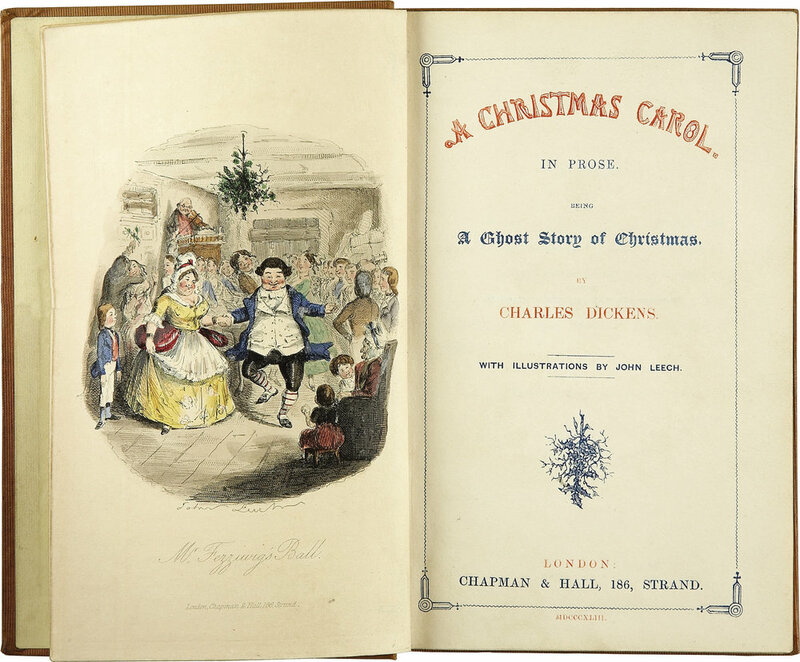 Bring the family and be part of an interactive reading of Charles Dickins’ A Christmas Carol. (special abridged version), a fun way to enjoy this holiday classic. Facilitated by Ruth Giordano. Hot cider and cookies will be served. Health and wellness advocate, Tina Bunce, will teach the basics about what essential oils are, the different methods to use them, and how to easily incorporate them into your daily life. We will discuss a few of the most common oils and their benefits. Like graphic novels? Want to share favorites? Want to create your own? Join us for a free... GRAPHIC NOVEL FEST! For kids in Middle School... (give or take a year or two). Featuring author, artist and illustrator Adam Gudeon. 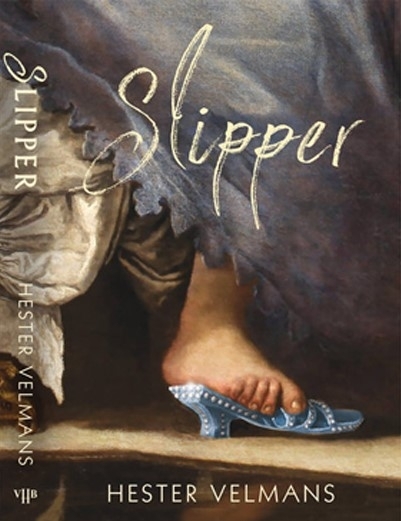 SLIPPER is the story of a poor orphaned stepchild, a would-be princess, whose search for one true love or another takes her all over seventeenth-century England, France and the Low Countries. Born under mysterious circumstances, she grows up to be a dreamer, a cinder sweep, a runaway, a camp follower, a kisser of frogs, a beggar, a mother and an artist. Along the way she learns what to do about men. It is hardly an exaggeration to say that hers is a fairy tale come true. She was perhaps the most inscrutable, dazzling, and confounding poet the United States has ever produced. Tucked away in her room, safe in her alabaster chamber, Emily Dickinson crafted lyrics that still defy interpretation, cue the soul to its deep springs, and map the landscape of human emotions: rage to love, chained neediness to drunken freedom. Over eight weeks, we’ll explore her lyric poems in sets, both as she left them at her death in hand-sewn volumes and in thematic units curated to help us understand the curious, devious way she got at the human condition. There will be no set weekly readings. Instead, just come prepared each week to encounter a set of poems that will both define and hide the poet who crafted them. spot. Then bring this book, an open mind and a cup of coffee—because no doubt there will be cake, too. A brief introduction to suicide prevention. Learn the warning signs and risk factors of suicide, and how together, we can help prevent it. Parent information session for AIRY (Arts in Recovery for Youth). Maggie McRae, a certified Alexander Technique Teacher, will introduce the techniques, principles and applications for the proper relationship of the head, neck and back for mind and body health. The Alexander technique is a useful tool in prevention and recovery from neck and back injuries, chronic pain, orthopedic disorders, and chronic health problems (e.g. Asthma, sciatica, etc). Actors, dancers, musicians and athletes have found the technique improves their overall performance. Lyme: The First Epidemic of Climate Change documents the human contribution to the dangerous spread of Lyme disease to dozens of countries and multitudes of people. In a book based firmly in science, author Mary Beth Pfeiffer shows ticks climbing mountains and crossing borders as temperatures rise and ecosystems altered. As important, Pfeiffer challenges medical dogma that has left many untreated. 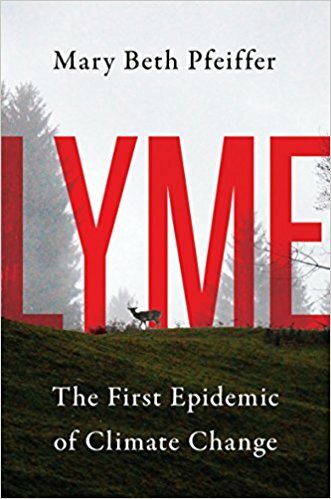 "Lyme" makes a powerful case for action to combat ticks, address patient pain, and recognize humanity's role in creating an epidemic. The Perfectionists: How Precision Engineers Created The Modern World the new title from revered New York Times bestselling author Simon Winchester traces the development of technology from the Industrial Age to the Digital Age to explore the single component crucial to advancement—precision—in a superb history that is both an homage and a warning for our future. will be here to entertain all ages! This show gives everyone an opportunity to participate in an enthralling, whimsical celebration of the imagination. This show has been performed over 500 times around the globe. 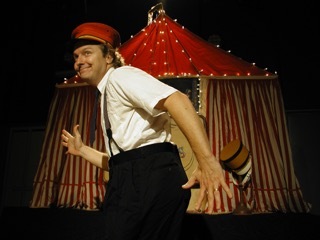 When Kevin opens his suitcase an entire circus emerges: tent, band, lights, the boisterous ringmaster Steve Fitzpatrick, the officious Mervin Merkle, the incredible Bumbilini Family, the Magician to the Stars Clyde Zerbini, and Keefer–an innocent trying to runaway and join the circus. However, the most important performers emerge from the audience. Free as always. Celebrating the 240th anniversary of Krivoy Rog, one of the most populous cities in the Ukraine, Fermata Arts Foundation is happy to announce a traveling exhibition of children's drawings that will be displayed around New England states from January 2016 until January of 2019. We're proud to exhibit the art from Ukrainian students aged 7-15, through the months of July and August. Fermata Arts Foundation is dedicated to promoting peace through arts and culture. join us on World Wide Knit in Public Day. Bring your children, bring your love of fiber arts, bring your interest and your questions. There will be someone available to teach you to knit, and much much more! The Long Range Planning Committee would like you to share in envisioning the future of the library. We are updating our Long Range Plan and value your ideas. Consider stopping in on June 2nd for a few minutes while you’re out running errands and give us your thoughts. For those who can’t make it, we’ll have a “vision box” set up in the library for the month of May, so people can contribute written suggestions. 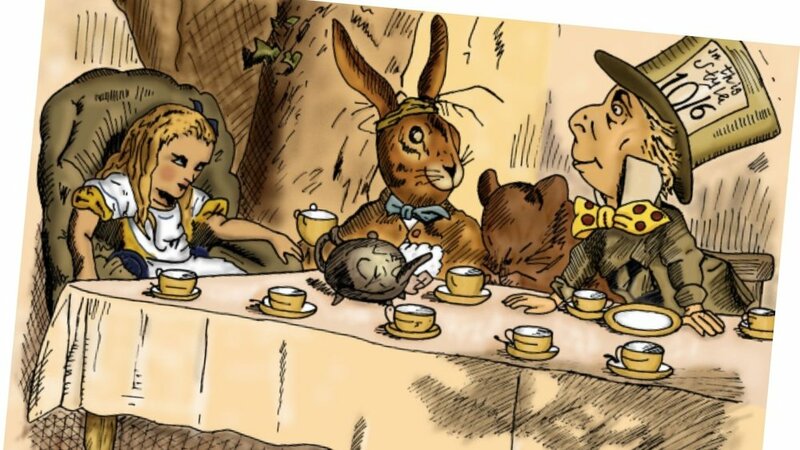 Join us in welcoming Extra Special Teas for a Mad Hatter Tea Party! Wear a wacky hat, enjoy teas and brownie bites. We'll be making something and having a lovely time. All are welcome, wheel chair accessible. 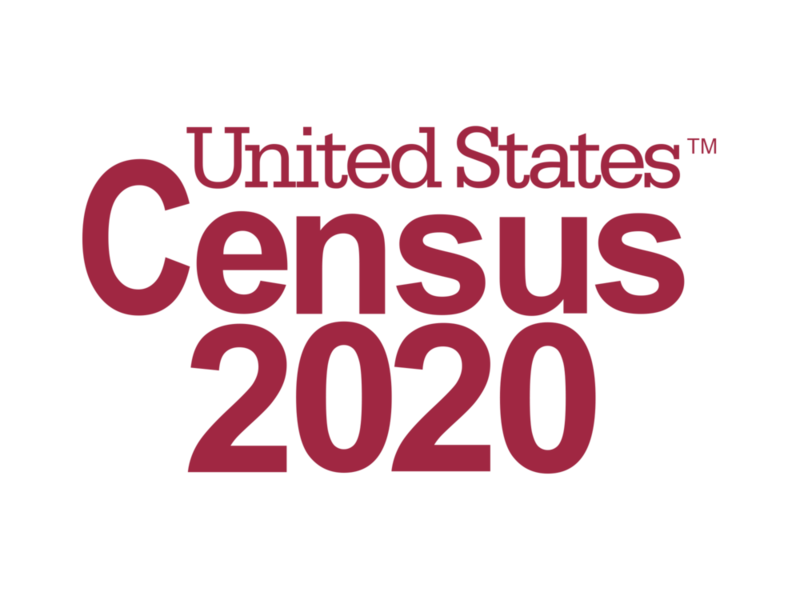 continuous lighting as well as images in color and/or B &amp; W digital technology), portraits of Berkshire residents, who register and attend one of the sessions taking place at the participating public libraries listed below. family, and groups are welcomed to participate with the restrictions indicated above. 15 minutes, please arrive 15 minutes prior to your scheduled session. register you to participate in the project. An award-winning author of books about American history and biographies, Leslie Wheeler now writes two mystery series: the Miranda Lewis Living History Mysteries and the Berkshire Hilltown Mysteries. 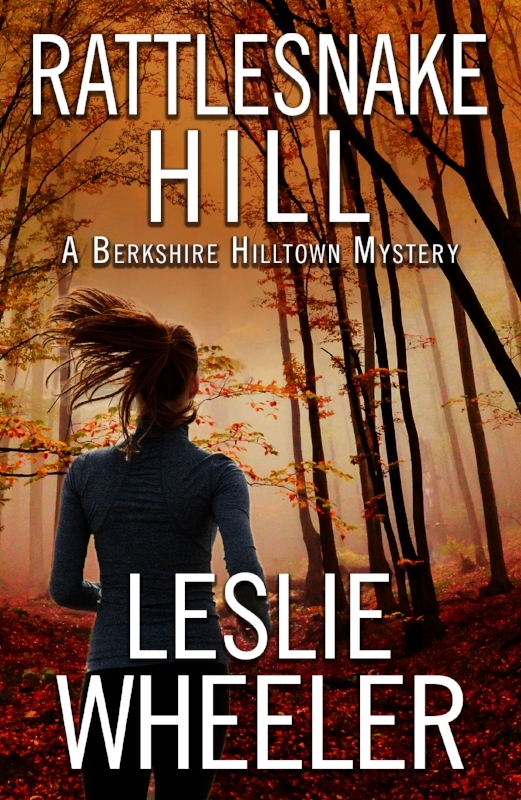 The Berkshire Hilltown Mysteries debuts with Rattlesnake Hill. A member of Mystery Writers of America and Sisters in Crime, Leslie divides her time between Cambridge, Massachusetts and the Berkshires, where she does much of her writing in a house overlooking a pond. Leslie will be with us to discuss her new mystery Rattlesnake Hill and mystery writing in the Berkshires. Join us for a captivating afternoon. Parents, students and teachers! Learn new ways to use Khan Academy at home and in the classroom with local expert Dave Travis. Used by 40 million students and 2 millions teachers every month, Khan Academy is an online resource that’s available to anyone, anywhere, who wants to learn just about anything – for free. Independent learners track their progress towards their educational goals as they collect “energy points” and build their avatars. Parents and coaches assign engaging content to their children and students. Teachers in the classroom use a daily dashboard to tell them which students need help, and in which skills. 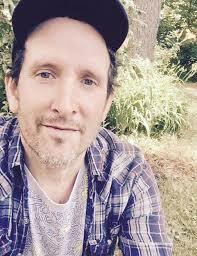 Dave Travis is Khan Academy’s Test Prep Content Manager. He is sharing what he knows so that interested members of the public may be better informed about the ways this free resource is being used by students, parents and teachers to improve educational outcomes in Massachusetts and around the world. with board games! We have plenty to choose from so come out and play a game or two with your friends, family and neighbors. 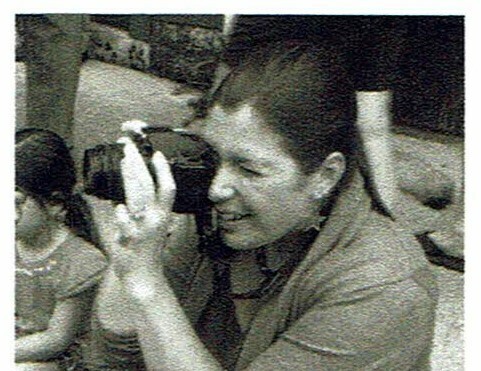 Margherita is a Sheffield native and loves to capture local moments on camera. Her photos will be on display at the library for the month of February. This show is dedicated to her loving and supportive mother who passed away in 2017.